Established in 2012, Vampire Vape started with an original range of 12 e-liquids which has now built up to 40 delicious flavours. 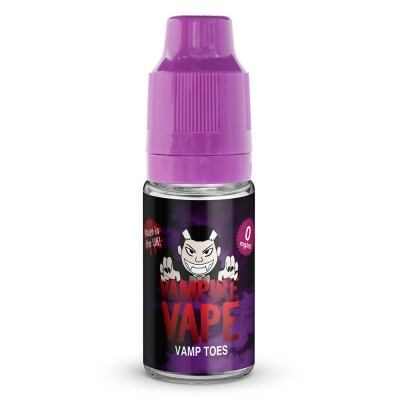 Since then, Vampire Vapes have easily become one of the best known 10ml e-liquid brands in the UK, and we've brought it into our range of e-liquids in response to popular demand. Vampire Vape E-liquids are best known for their flavour Heisenberg, which was originally created for the 2014 VapeFest. Inspired by US series Breaking Bad, this famous e-liquid is the one which made their name - and inspired many copies! The brand is very coy about what goes into making the famous taste, but it's certainly cool, fruity and refreshing. Second only to to Heisenburg in popularity is Pinkman, with its medley of fruit flavours. Menthol is a strong element running through a number of Vampire Vape juices. For example, Cool Red Lips combines the sweetness of cherry with menthol and a hint of berry for a cool fruit flavour, while Dusk features a mixture of dark forest fruits with an icy-cool after taste. Vampire Vapes e-liquids come with PG:VG ratios of 50:50 or 60:40. 50:50 is best for mouth-to-lung vaping, while 60:40 is best if you prefer more vapour. You can read more about VG:PG ratios here. The liquids come in a range of strengths varying from 3mg (0.3%) to 18mg (1.8%). 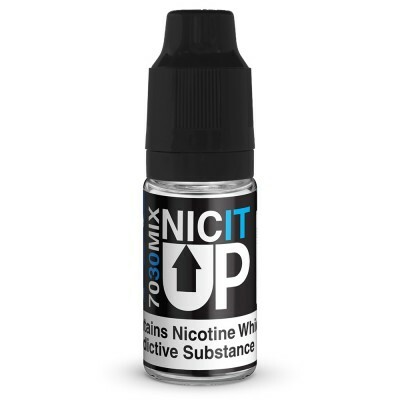 Higher nicotine strengths are best for low powered vape devices and for vapers who have recently switched to smoking, while vapers who use more powerful devices may wish to choose higher nicotine e-liquids. Vampire Vape are based in Darwen, Lancashire, and all their e-liquids are conceived and manufactured in the United Kingdom. 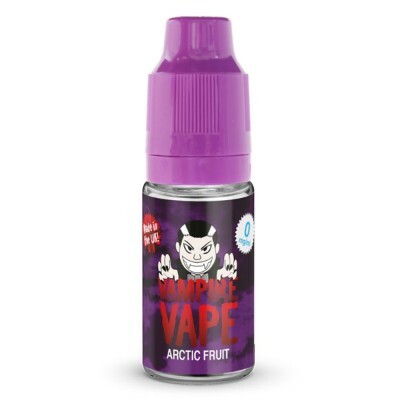 Enjoy Vampire Vapes for less with our multi-buy deals - choose any 5 e-liquids for just £14.95 (£2.99 each).